Elliptical machines started appearing in gyms during the 1990s. The machine offered a new way to exercise that incorporated an aerobic workout with muscle toning in the upper body. It also provided an alternative to the traditional treadmill or stationary bike, which some find more enjoyable to use. One purpose of exercise is to burn calories, but how accurate is the information the machine displays? Using an elliptical machine is an effective form of cardio workout due to its high calorie burn. A 160-lb. person can burn about 680 calories an hour on an elliptical, according to Panhandle Health District. The high calorie burn results from the large number of muscles that can be used during a workout on an elliptical machine. A lot of variables affect the accuracy of your personal calorie burn, though, including your exercise intensity, which you can control by changing the incline, resistance or stride on your elliptical. Depending upon the model, the control panel of your elliptical displays your time, speed and the distance covered. Since the machines are factory calibrated, the information you receive regarding these basic figures is an accurate measure of your workout. The ambiguity surrounds calorie burn. Short of having a researcher measure the amount of oxygen you exhale during exercise, your personal calorie burn while you use your elliptical machine is merely an estimate. The accuracy depends upon how these figures are derived. Exercise machines that calculate calorie burn do so through the use of algorithms that are based on testing and research on volunteers using the machines. Typically, companies test a number of subjects to get a more complete picture of the body’s response. Life Fitness, for example, calculates an average calorie burn based on data collected from users. Data is based on carbon dioxide output and oxygen consumption in controlled lab setting. However, it is an average figure. Your own actual calorie burn may vary. Whether or not the figures are completely accurate, you still get value out of using an elliptical. Regardless of what the control panel says, you are burning calories and engaging in healthy aerobic workouts. 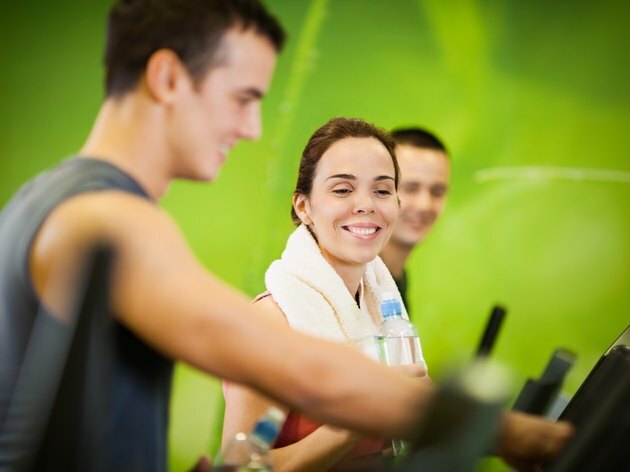 You can track the figures derived from the elliptical to set fitness goals. You can gradually increase your distance or calorie burn, making the elliptical figures an accurate measure of your increasing fitness.